By the age of 12, Rick knew he wanted to be a sports announcer, Over the years, he's gained valuable experience in the sports industry and is extremely proud to now be a part of the Casper Bobcats Jr. Hockey team. Some of our Bobcat fans might already know that Rick founded and runs a weekly charity fundraising event called 'WyoGenerosity' in Casper, Wyoming. As a first generation benefit auctioneer, he works with charities full-time to help them find the funding they need to meet their mission and cover operating expenses. Rick is licensed as an auctioneer and travels all across the country to serve as auctioneer and emcee at charity events and he really loves that aspect of his career. Rick believes that auction school helped him to realize the endless possibilities life has to offer and pointed him towards a career field that offers plenty of rewards for hard work while doing something that he already loves - helping others through charity events and the people they support. 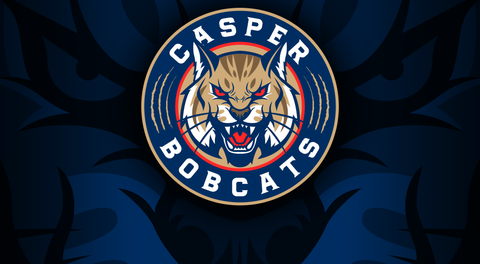 Rick wants Casper fans to know, "My love for sports (especially hockey) will be evident as the Bobcats drop the puck at the Casper Ice Arena. Bring your outside voice - indoors - and let's get rowdy loud in support of our Casper Bobcats!"